Last week Nvidia has announced a new mid-range GPU, namely the GTX 950 that is being positioned between the GTX 750 Ti and the GTX 960. Interestingly enough the GTX 950 has 128 CUDA cores more than 750 Ti and a TDP of 90W with a price point that is a bit higher than the 750 Ti, so the big question is if the GTX 950 can be the new affordable and low-power usage alternative for mining suceeding the 750 Ti. We took an MSI GeForce GTX 950 Gaming 2G video card and have tested how it performs for crypto mining in various algorithms using the latest ccMiner fork from SP optimized fro Maxwell GPUs as the GTX 950 is Compute 5.2 card. We have also tested using Ethminer for mining Ethereum’s Ether (ETH) coins as these are pretty hot and profitable to mine at the moment. 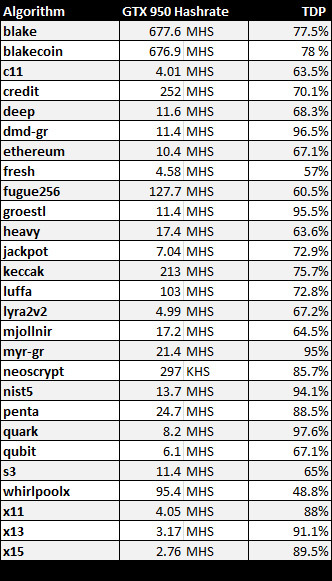 The table above does not contain results for the following algorithms that are supported by ccMiner: lyra2, skein, yescrypt, whirl, x14, x17 as when trying to test them we have encountered errors or the miner software crashing. We are not sure if this is directly related to the use of GTX 950 and the default intensity settings not working for some algorithms, or just that there are issues with the specific algorithms in the latest code of ccMiner. 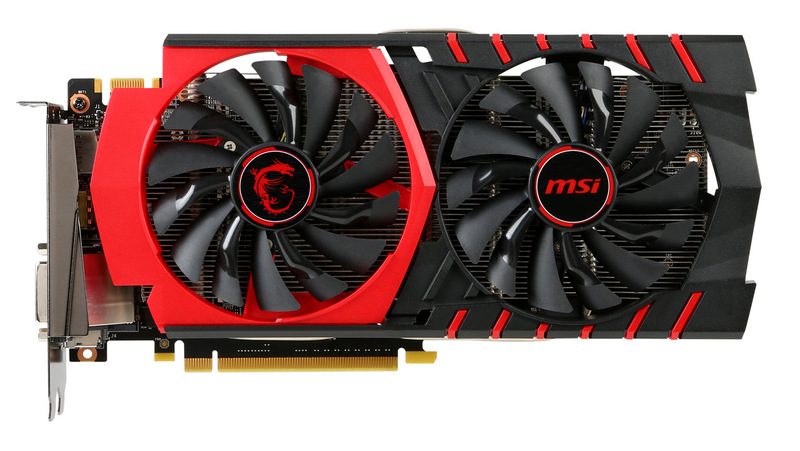 The TDP result shows how much power the video card uses for each of the algorithm with 100% TDP being equal to 90W of power usage on a normal GTX 950, but on the MSI factory overclocked Gaming model the 100% TDP is actually equal to 110W. As you can see however very fee of the algorithms are getting close to the maximum TDP of the GTX 950, so the actual power usage could be even lower than 90W on most of the algorithms.